No, this blog isn’t about the popular song by Donovan–mad props to you if you know who that is and know which song I’m talking about–nor is it about the popular soft drink that tastes almost EXACTLY like mountain dew. I picked Mellow Yellow as the title of my blog because that’s just the kind of day I’m having. I’m not really in the mood for rap, rock, pop, country, jazz, or classical today. I just need some good chill music. Just to clarify for those of you who might be wondering why I don’t find classical music to be “chill,” after six plus years of music history, instrumentation, and music theory courses in college and then graduate school, I can no longer listen to a piece of classical music without analyzing it. If I’m not analyzing the form, I’m analyzing the tonality. If not the tonality, the overall performance. Classical music is EXHAUSTING to listen to. So why not jazz, you may ask? Have you listened to jazz? I’m not talking the smooth jazz stuff that you hear in elevators either, I’m talking about the real stuff, Charlie Parker, Miles Davis–actual JAZZ. I absolutely love it, how could I not? I play the saxophone for crying out loud, but just to clarify, I’m a classical saxophonist not a jazz saxophonist and I feel like I should probably put that out there before some random person who considers themselves a saxophonist stumbles upon my blog and rips me to shreds for not expressing my undying love and devotion to all things jazz! My problem with jazz is that it’s kind of like classical but in the opposite way. Unlike classical there tends to be a lack of structure so instead of analyzing the music structure and form of the piece–like classical–I’m trying to follow/analyze the non-structure. Okay, now I’m just exhausted talking about it. Back to what I consider chill music. To me the perfect chill music is music that is mellow in nature but not lacking musicality–you know, like all of the cheesy adult contemporary stuff out there. 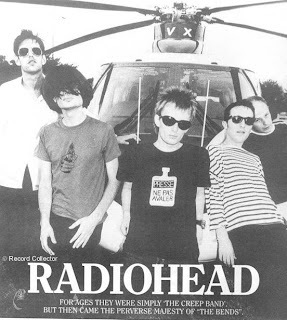 However, I don’t want to chill to music that tries to be too deep like some of the folk music out there (I once had to write a ten page paper analyzing the lyrics of one Bob Dylan song) or music that is too superficial (there’s a time and a place for the musical genius that is Britney Spears). And, I am going to go ahead and give the two people who read this blog the benefit of the doubt and assume that I don’t need to explain why I don’t consider rap, rock, and country chill music. 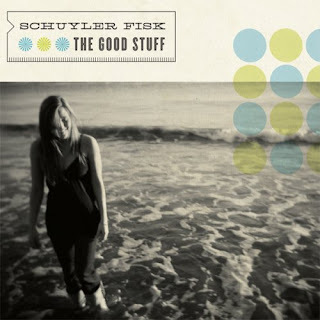 Schuyler Fisk– A great one to look into if you want something light and pop-like without being actual POP. She’s a good blend of folk, a little bluegrass and a pinch of pop. She’s also Sissy Spacek’s daughter and an actress, she was in the movie Orange County with Colin Hanks and Jack Black among others. 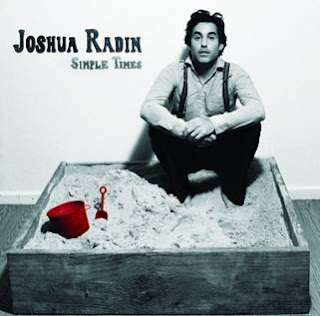 Joshua Radin– A really enjoyable singer-songwriter whom you have probably heard of. If not I’m sure you’ve heard his music as it’s been features on countless TV shows and movies: Grey’s Anatomy, Brother’s & Sisters, Scrubs, Dear John, The Last Kiss–just to name a few. Actually his single Paperweight featured in the movie Dear John is a duet with Schuyler Fisk. I should probably go ahead and admit that I learned about her because of my interest in him. I love when good music yields more good music! Anyway, his music is awesome. It is subtle and thoughtful and completely enjoyable. But I have to say one of the things that I love about this guy is that he was a former art teacher who decided to try his hand at a career in music. As a public school music teacher I secretly dream that one day I’ll instantly have a career in music performance. Unfortunately, the only way that will happen is if I actually pick up my instrument and perform! We won’t get into the part where I reiterate that I’m a classical saxophonist and not a jazz saxophonist and there doesn’t seem to be many jobs out there for people with my background, that will only dash my dreams further. 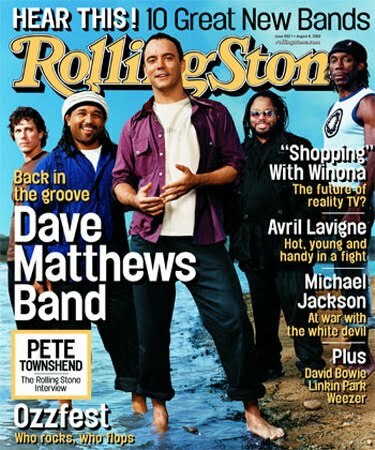 Dave Matthews Band– My All time favorite. Honestly, they need their own blog post–if not many blog posts–one of these days so I’m just not going to bother writing anything more. Radiohead– Do I really need to explain? Okay so there are probably countless other artists and bands that I will think of the second my little finger hits the “publish” button. I’m tired of writing, though, so rather then racking my brain I’ll just save them for another day.